BUTTERFLY PROJECT? 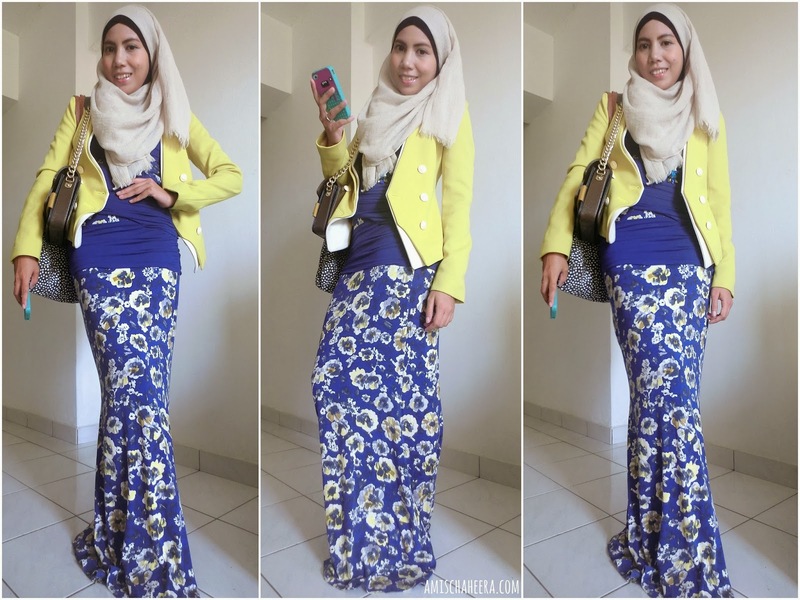 A community of beauty bloggers doing what they do best, blogging! In this community lead by Tammy Lim, old *cough* and new baby bloggers has the chance to attend events, review products and learn from each other. All blogposts done by these community members are not paid for, instead brands / clients provides experience for these blooming bloggers and we do our best to promote / market the brands through our writings. It's a WIN-WIN situation. If you are a blogger, regardless whether or not you are into beauty - do join us! NATTA COSME? Well according to the info card they gave in the beautifully packaged box: "Across the trillion stars along the milky way, there exist a planet named Natta. The nation of the planet lived under an abominable rule where the people must never look the same. 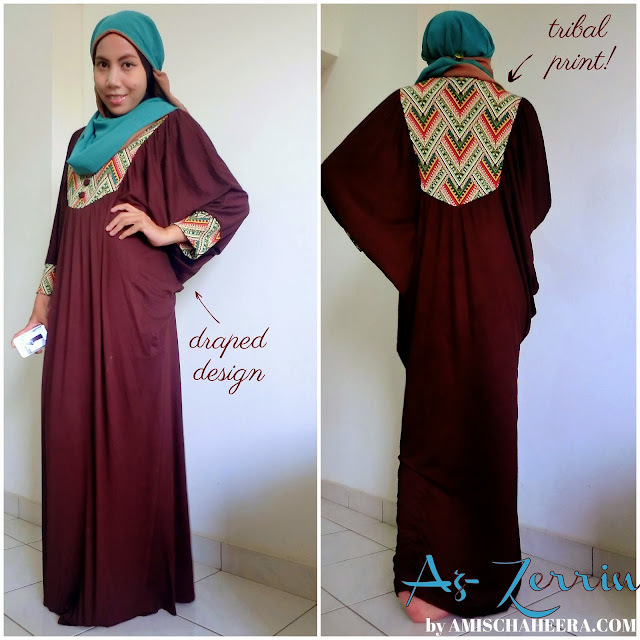 They must have their very own distinctive style and character. If there ever existed people who look identical to one another, the authorities will dispatch these people to the one and only Natta Cosme. Natta Cosme provides numerous beauty products that brings out the true physical beauty of the people. These products include skin care, body wash, and make up set. A new individual will be borned after undergoing the transformation. This can be seen in the double "T's" of the logo of Natta Cosme which represents that every individual is distinctively different from one another. 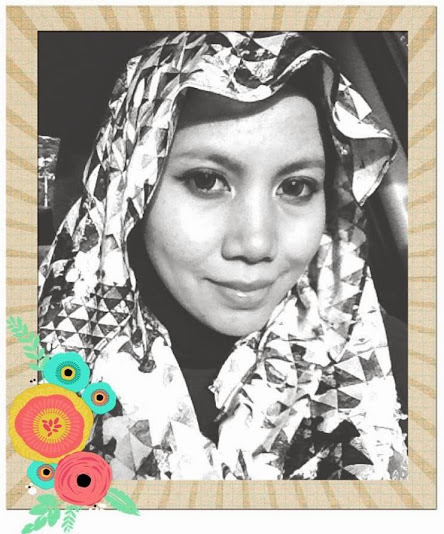 We, at Natta Cosme have the best and newest products in town! Besides, our courier service is efficient. 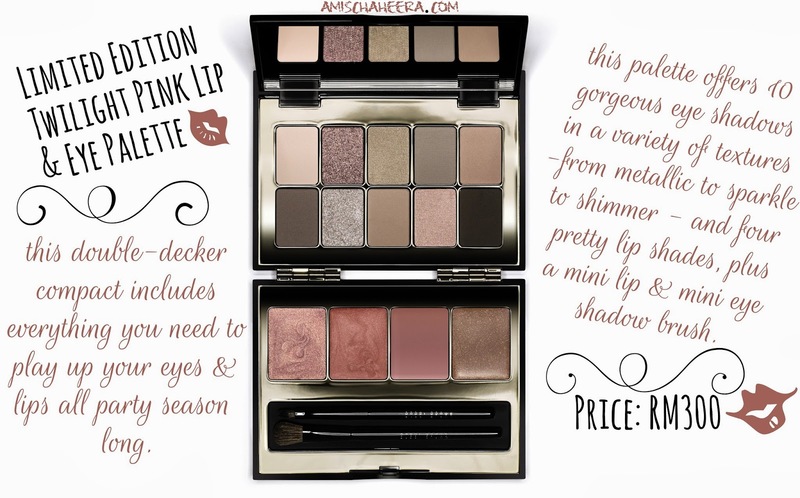 The appearance of the products are to definitely capture your eyes. Fragile products are accompanied by bubbles to increase their durability ensuring your goods to be at good condition. Need not fret if you have no knowledge on the usage of the product as we are capable and trusted for providing professional advices. Feel free to leave any suggestions, questions or a friendly hello at "customer@nattacosme.com" or through our "contact us" page. Thank you!" Over 120 years ago, Rose Thayer, niece of Henry Thayer M.D developed an all natural recipe for extra soft, youthful looking skin. As she aged, many would comment on how she looks 10 years younger than she was. Her secret formula of Rose Petal water blended with Witch Hazel extract, certified organic Aloe Vera and Vitamin E is being made available. Witch Hazel helps to tighten pores, and to smooth and beautify skin without drying. Thayers proprietary Certified Organic Witch Hazel (derived from the bark) is not distilled, thereby maintaining all the natural tannins. 1) Did you know that Lost World of Tambun is part of Sunway Group? Yeah the same one in Sunway, PJ ofcourse hehe. 2) Ticket Price: Adult RM48 / Children (12 years old & below) RM41 and toddler below 12 gets in for free. 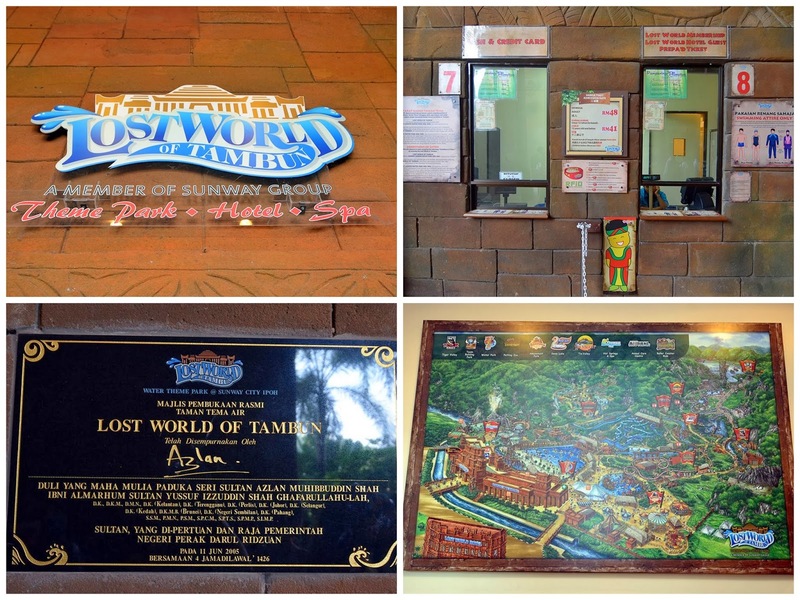 3) DYMM Sultan Azlan Shah signed & sealed the Lost World of Tambun for it's opening, my favorite handsome Sultan ♥ 4) You can literally get lost in this maze of Lost World of Tambun! Ooops, before we move further in to the Theme Park, I wanna show you our room! OUR room because I have a pretty roomie to share it with... Guess who? 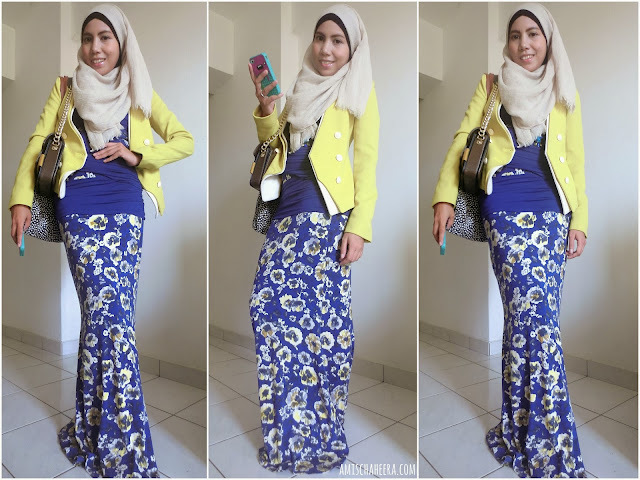 Lucky for me, 2 days ago I was selected to be included among princesses & queen bloggers to attend this private blogger party by Longchamp (I'm hardly a princess, more like a pauper). 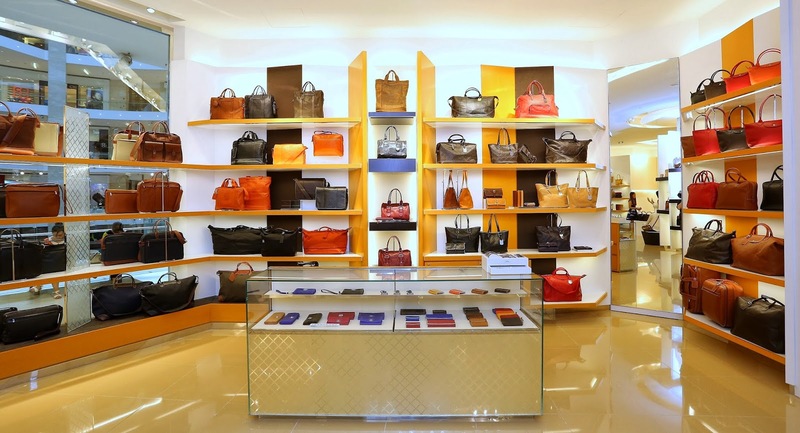 This was also to commemorate the soft launch / opening for Longchamp's new store at Pavillion. It was so new, even the Pavillion staffs on the floor didn't know where it was and kept leading me on the wrong way. Finally after walking around like a mad woman for a good 10 minutes I found my way and it was such an easy place to find I feel like slapping myself. If you've been to Pavillion, it's right next to MAC cosmetics store, quite easily near the main entrance to your left. 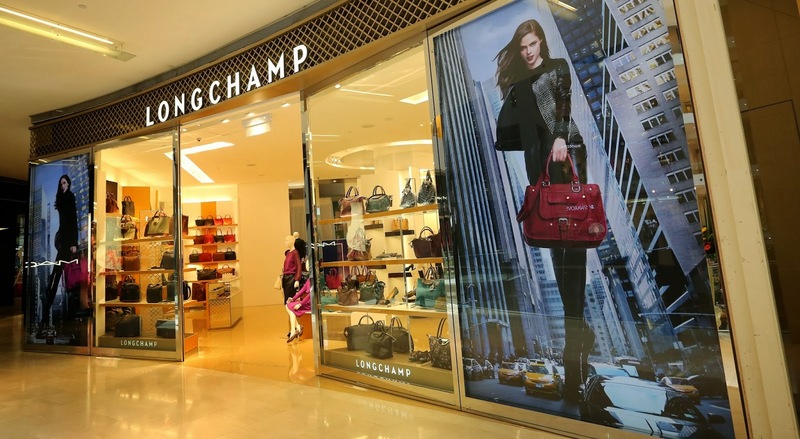 This 1500sq ft Malaysian exclusive store continues Longchamp’s relationship with the region and will be Longchamp’s largest store in Malaysia. It is the latest expression of Longchamp’s global store design concept, which brings together the historic heritage of this family company with its creative, contemporary products and elegant style. 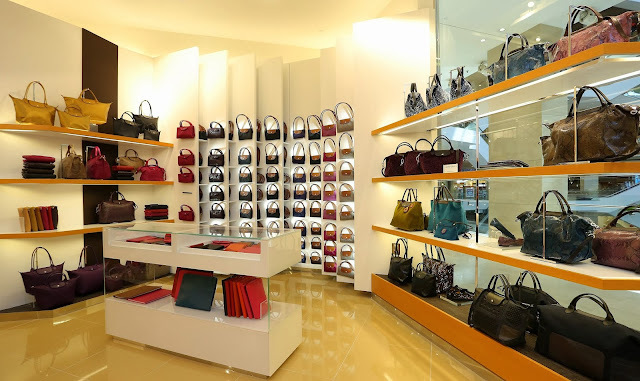 The impressive new store features light and colour-filled spaces, creating a unique experience for customers and visitors. Looking to glitz it up? This holiday season, Bobbi Brown offers a beautifully edited collection of luxurious lips and eye palettes, lip glosses and brush sets for the beauty enthusiast who wants to get - or give - the gift of glam. 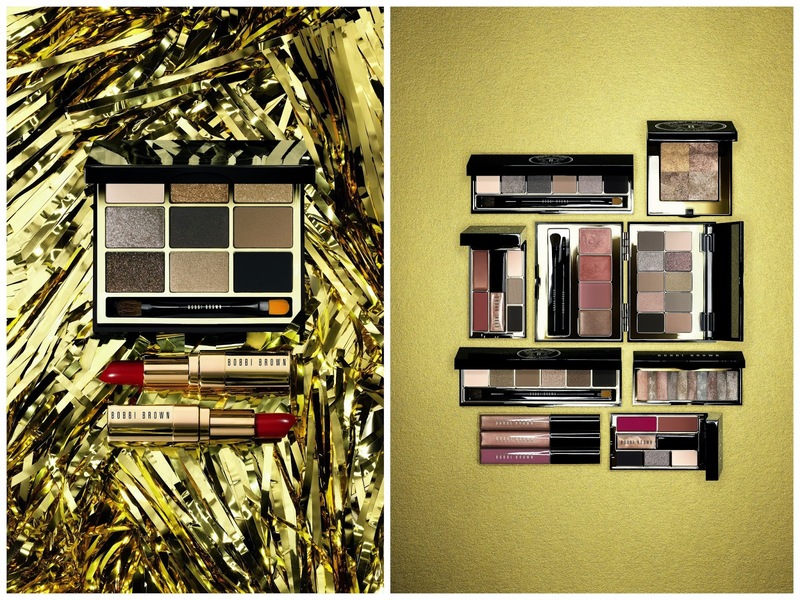 Featuring an assortment of shimmery shades in silver, bronze and golden tones, Bobbi's Holiday 2013 Gift Giving Collection is a must when it comes to stealing the spotlight. 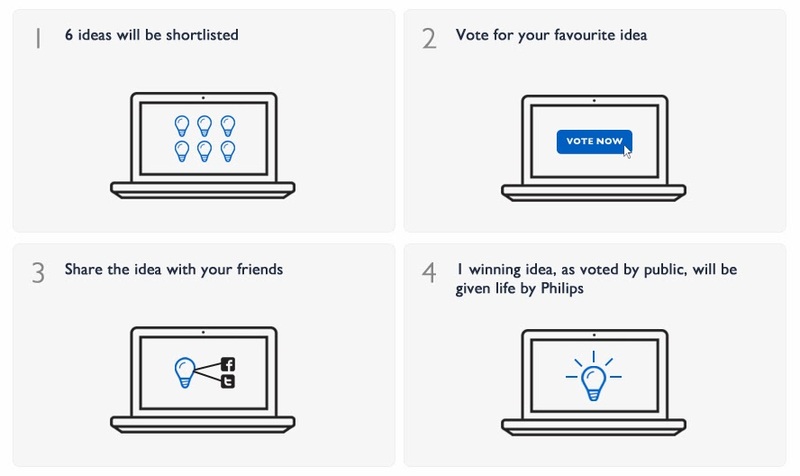 Earlier this month, I joined a community effort brought by none other the fun & sassy Butterfly Project to introduce Philips Innovation That Matters to You campaign. Wonder what does this campaign means? Philips Malaysia launched the campaign to create healthy homes & safer cities with an idea donation drive called "Innovations That Matters To You". Underlining Philips' commitment to develop meaningful innovations to help improve the health and well-being of communities across Malaysia, the program will listen to the real needs of Malaysians through their ideas and by partnering with local stakeholders. Under the program, all submitted ideas will be collected and sifted through by a panel of judges which includes Philips, Agensi Inovasi Malaysia (AIM) and University Putra Malaysia (UPM). 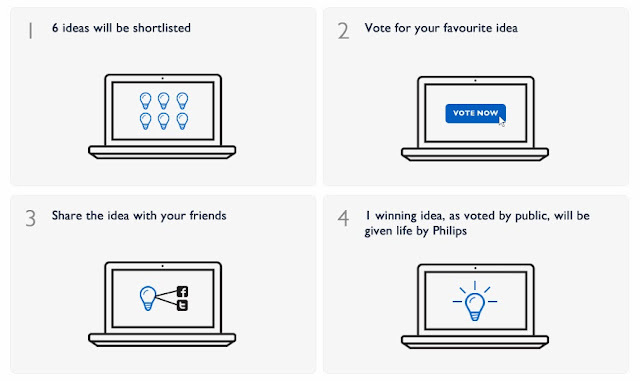 The panel will shortlist 6 selected ideas for public voting based on practicality and sustainability and one winning idea will be implemented by Philips Malaysia together with the public and stakeholders. Blackberry Android Weh, if HUNGRY, GO WHERE? Go open this app loh.... XD Anyways, I chose these for lunch! Salmon Steak with Salted Grilled Veggies (RM38.00) & Green Tea with Biscotti (I think it was around RM14.50, came in a small teapot suitable shared for two). FOOD: Salmon Steak was slightly tasteless, dunno whether it's my swelling gums are causing my taste buds to go awry or what but don't trust me much on that. The skin of salmon was crispy, love it! And plenty to be eaten that I had to takeaway half of the leftover, couldn't finish it. Save for dinner hehe.. Green Tea is as usual bland and nice just like I love, would've been nice if I have real honey to add to it but drinking it just like that is also fine for me. SERVICE: Slightly slow but the staffs were nice & accomodating, Kelly ordered the same thing I did except she didn't want her potatoes. Hers came quite late with a portion of salad, and then they prepared & delivered the grilled veggies separately... Weird. 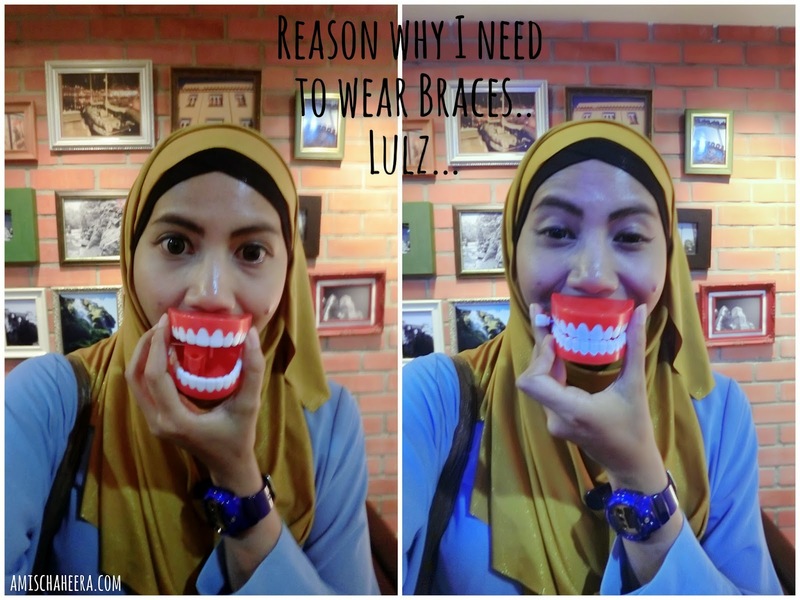 Had an interesting invitation early last month, to wear braces.. and the procedures will be FULLY SPONSORED by the clinic. I immediately agreed to it without even thinking it through. I mean, I've always wanted to straighten my crooked teeth but just never had gotten around doing it and when opportunity like this appears you just gotta grab it right? Plus, the clinic who offered me belongs to Dzurina's father, Dzu is the wonderful owner of +WonderMilkCafe. Yeah the cute dental clinic right above +WonderMilkCafe at Uptown Damansara. "A reliable family oriented dental practice established for more than 30 years specialising in orthodontics, dental implants and aesthetic dentistry." 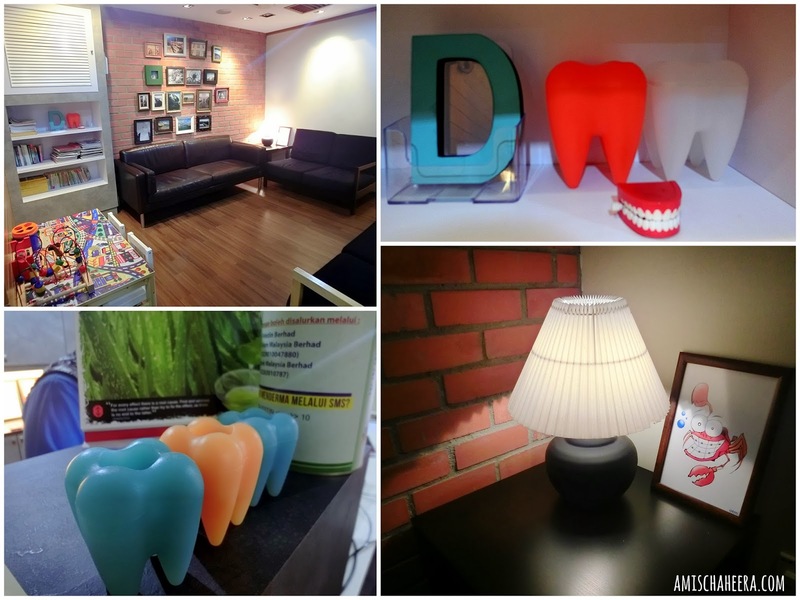 The cozy space of Dzul Dental Clinic. This is probably one of the most looking forward to trip of the year so far, because! 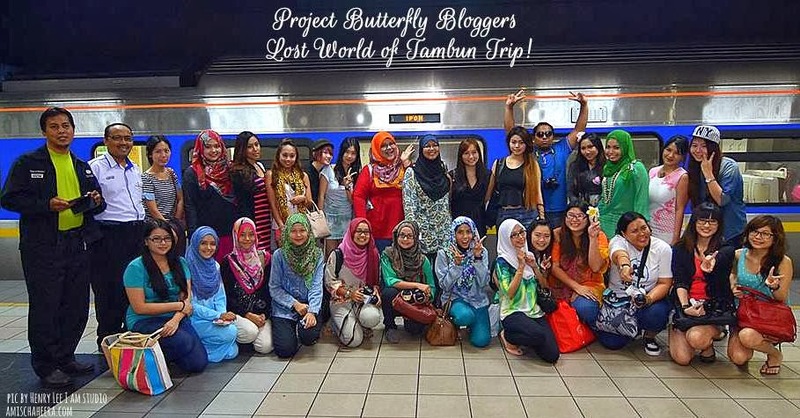 ♥ I get to join Butterfly Project, all them pretty blogger girls! And Maha and Henry the photographer hehe. 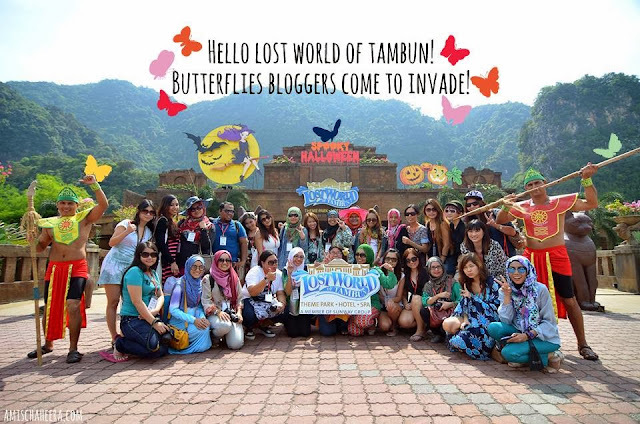 ♥ I've never been to Lost World of Tambun despite having my hometown only one hour away from there & my sister lives in Ipoh as well. 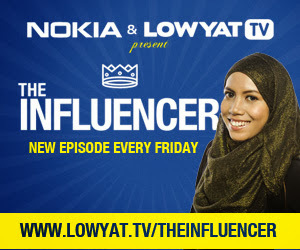 ♥ Everything is fully sponsored! Thank you so much KTM Malaysia for the comfy ride & Lost World of Tambun Hotel & Park for the hospitality. Anyways, a day before we're supposed to go, we received detailed instructions from Mama-san Tammy & her team to arrive promptly at 730am at McDonalds, KL Sentral because our train will depart at 815am. Honestly I didn't know what to pack for the 2 days 1 night trip but Mama-san said "It's only a short trip meh no need to bring your whole closet waaan!" I failed to comply, lol! Brought more than I needed in a suitcase and a hand carry tote bag. 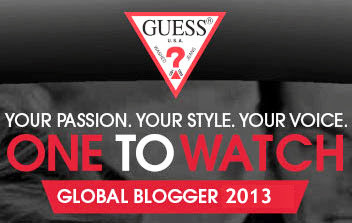 Bloggers ALL ABOARD! Check out 'em happy faces, no worries if you have carry on bags because you can put it on the rack above you and if you have a large trolley bag just put it at the front row where's there space in front of the TV. A train stewardess (is that what she's called? heee), will come and check your ticket while riding. Gawdd I miss my slightly problematic far from perfect but easy to cover up skin..... I'm currently having a terrible reaction towards a skin care product I've tested which resulted in major breakouts and rashes and dry patches on both my cheeks and chin. These pictures were taken in mid of September when my skin was still dry as the dessert but was a lot fuss free compared to what I'm having now. Anyways on that day I went to BlackBerry Z10 launching with Anne & Natasha, met with Rene from KREE for coffee & lastly went to MYC Fresh Faces Search Launching event. I've been wanting to own a food processor ever since I got hooked up on tv's food channel a few years ago. But I never really thought I would get so into cooking that I'd actually own one. Mom will be so proud, haven't told her yet mihihi... Anyways I received an email from LAZADA representative asking whether I'd be interested to tell my shopping experience with Lazada in exchange for a shopping voucher. 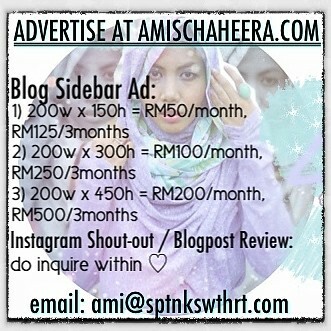 Yes peeps this is a promoted post ;) but not just any coz I'll be reviewing my shopping experience, the product & a bonus recipe for you guys! 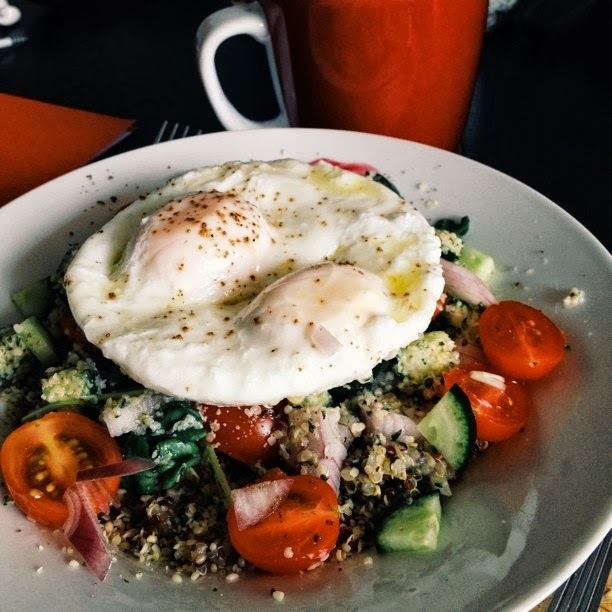 First thing that came into my mind was to purchase a FOOD PROCESSOR! And maybe a few facial masks haha. I browsed around at the website and they have quite a few choices with prices ranging as low as RM75 - crazy thousands ringgits! :O I had no idea food processor can get super expensive.............. 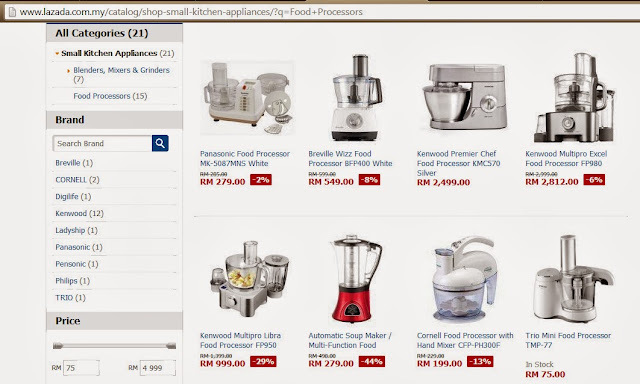 But then again what am I complaining, during my research for finding a slow juicer - I read that the best slow juicer can get up to RM5k...... Cray cray!! I mean if you have the budget just go for it but I don't and I was pretty happy finding out that they have trustworthy home appliances brands like Kenwood, Panasonic and Breville (just to name a few). I chose Panasonic MK-5087M because it's affordable, has a few blades to choose from and looks like easy to learn & use. My second choice would've been this Philips Compact 3-in-1 Food Processor but after much discussion with Naz we decided on Panasonic.